Roger Pielke Jr.'s Blog: Evidence-Based Policy: Which Side are You On? We'd all like to think that policy makers consider evidence from experts in how they make decisions. Of course they do, but in case after case, such consideration takes a form far from that which might be considered ideal by most experts. Typically, a decision is made based on considerations that have little or nothing to do with evidence, and only then is evidence sought out to support that decision. Science in all of its glorious bountifulness is almost always compliant. Consider these two cases from opposite sides of the US political spectrum, the first having to do with abortion and the second climate change (surprise, surprise in both cases). These cases illustrate important dynamics associated with what I call "science arbitration" in The Honest Broker, a process focused on proffering advice on claims that can be resolved empirically, using the tools of science. Most people just call this "science advice." Science arbitration is distinct from Issue Advocacy and Honest Brokering of Policy Alternatives, both of which are focused on policy action, and are typically called "policy advice." South Dakota can require doctors to warn women seeking abortions that they face an increased risk of suicide if they go through with the procedure, a federal appeals court ruled Tuesday. "On its face, the suicide advisory presents neither an undue burden on abortion rights nor a violation of physicians' free speech rights," the court wrote in its majority opinion. In September, a three-judge panel upheld U.S. District Judge Karen Schreier's decision to overturn the requirement following a lawsuit brought by Planned Parenthood. The decision Tuesday by the full 11-member court grants judgment to the state and vacates the permanent injunction against enforcing the provision. What is wrong with such a requirement you might ask? Well, for one thing, the evidence does not support a relationship between abortion and suicide. Like most such debates, this one hinges on competing scientific studies, interpretations of evidence and scientists with deeply vested political interests. The rates of mental health problems for women with an unwanted pregnancy were the same whether they had an abortion or gave birth. Regardless where one comes out on the state of the science, the strongest position that the South Dakota Court could justifiably take is that the evidence is equivocal. By mandating what doctors must tell patients the court is requiring them to lie. Not good. Environmental activists want top federal officials to directly address the possible connections between climate change and the current drought that’s crushing the life out of U.S. heartland, with potential implications for global food supplies. Specifically, Forecast the Facts and FoodDemocracyNow! want Secretary of Agriculture Tom Vilsack to directly address the massive implications of manmade climate change for our entire farming sector. Scientists are clear that climate change is already leading to more extreme weather, such as longer and more severe droughts, according to Daniel Souweine, campaign director for Forecast the Facts. Just like in the case of abortion and mental health the link between human-caused climate change and the current drought is tenuous (to be polite). 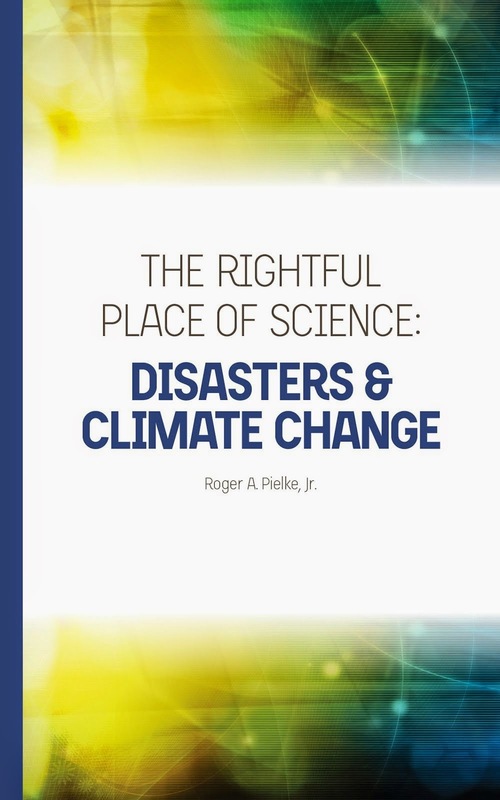 The IPCC, an international expert assessment body, recently released a report on extreme events that is squarely in my area of expertise, and which I have noted overall did an excellent job. If this conclusion is solid, then these activists are asking the US government to lie to farmers and the public. Not good. Just like the abortion case described above, the strongest position that the environmental activists can legitimately take is that the science is equivocal and likely to remain that way for a very long time. So where does this leave us if we'd like to secure effective evidence-based policy? In a nutshell, for those who care about the integrity of science in decision making it is OK to divide the world into two camps -- Finally, a Manichean debate I can support! However, doing such a dividing according to macro-political perspectives (left-right) are contributing to the problem, as are those who, at the micro-perspective are do the dividing according to specific policy preferences (e.g., restrict abortion, secure action on climate change). If political perspectives, whether ideological or policy-specific, could dictate which science was most sound, we wouldn't need science, politics could substitute. The best way to divide the world into two camps are to segregate those who seek science to confirm political prejudices and those who support effective and trustworthy science arbitration, wherever it may lead. The scientific community has at times lost perspective in all of this complexity and found itself in the former category rather than the latter, siding with political advocates whose interests in the integrity of science come second to whatever issue of the day they are championing. Securing evidence-based policy with integrity requires a ruthless adherence to the ideals of effective science arbitration, even when uncomfortable and inconvenient. Perhaps most uncomfortable of all is the realization that those who would champion the political causes supported by most scientists themselves would not champion the integrity of science itself when its results do not conform to their prejudices. The championing of scientific integrity is a cause unto itself.